The ranks of the English peerage are, in descending order, Duke, Marquess, Earl, Viscount, and Baron. While most newer English peerages descend only in the male line, many of the older ones (particularly older baronies) can descend through females. Under English inheritance law all daughters are co-heirs, so many older English peerage titles have fallen into abeyance between various female co-heirs. Baronets, while holders of hereditary titles, are not peers and not entitled to sit in the House of Lords (unless they also hold a peerage). Knights, Dames, and holders of other non-hereditary orders, decorations, and medals of the United Kingdom are also not peers. In the following table, each peer is listed only by his or her highest English title (with the exception of the Duke of Norfolk/Earl of Arundel) showing higher or equal titles in the other peerages. Those peers who are known by a higher title in one of the other peerages are listed in italics. Duke of Rothesay in the Peerage of Scotland. Duke of Gordon in the Peerage of the United Kingdom. 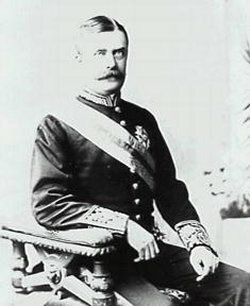 Earl of Waterford in the Peerage of Ireland. The Earl of Pembroke 1551 Earl of Montgomery in Peerage of England. The Earl of Suffolk 1603 Earl of Berkshire in Peerage of England. The Earl of Exeter 1605 Marquess of Exeter in the Peerage of the United Kingdom. The Earl of Salisbury 1605 Marquess of Salisbury in the Peerage of Great Britain. The Earl of Montgomery 1605 Held with the Earl of Pembroke in Peerage of England. The Earl of Northampton 1618 Marquess of Northampton in the Peerage of the United Kingdom. The Earl of Denbigh 1622? Earl of Desmond in the Peerage of Ireland. The Earl of Manchester 1626 Duke of Manchester in the Peerage of Great Britain. The Earl of Berkshire 1626 Held with the Earl of Suffolk in Peerage of England. The Earl of Lindsey 1626 Earl of Abingdon in Peerage of England. The Earl of Winchilsea 1628 Earl of Nottingham in Peerage of England. The Earl of Doncaster 1663 Duke of Buccleuch and Queensberry in the Peerage of Scotland. The Earl of Nottingham 1681 Held with the Earl of Winchilsea in Peerage of England. The Earl of Abingdon 1682 Held with the Earl of Lindsey in Peerage of England. The Earl of Jersey 1697? The Earl of Cholmondeley 1706 Marquess of Cholmondeley in the Peerage of the United Kingdom. The Viscount Townshend 1682 Marquess Townshend in the Peerage of Great Britain. The Viscount Weymouth 1682 Marquess of Bath in the Peerage of Great Britain. The Baron le Despencer 1264 Viscount Falmouth in the Peerage of Great Britain. The Baron Mowbray 1283 Baron Segrave and Baron Stourton in Peerage of England. The Baron Segrave 1295 Baron Mowbray and Baron Stourton in Peerage of England. The Baron De La Warr 1299 Earl De La Warr in the Peerage of Great Britain. The Baron Strange 1299 Viscount St Davids in the Peerage of the United Kingdom. Held with Baron Hungerford and Baron de Moleyns in Peerage of England. The Baron Berkeley 1421 Lord Gueterbock for Life in the Peerage of the United Kingdom. The Baron Hungerford 1426 Viscount St Davids in the Peerage of the United Kingdom. Held with Baron Stange and Baron de Moleyns in Peerage of England. The Baron de Moleyns 1445 Viscount St Davids in the Peerage of the United Kingdom. Held with Baron Stange and Baron Hungerford in Peerage of England. The Baron Stourton 1448 Baron Mowbray and Baron Segrave in Peerage of England. The Baron Windsor 1529 Earl of Plymouth in the Peerage of the United Kingdom. The Baron Howard of Effingham 1554 Earl of Effingham in the Peerage of the United Kingdom. The Baron Clifton 1608 Earl of Darnley in the Peerage of Ireland. The Baron Brooke 1621 Earl Brooke and of Warwick in the Peerage of Great Britain. The Baron Craven 1626 Earl of Craven in the Peerage of Great Britain. The Baron Ward 1644 Earl of Dudley in the Peerage of the United Kingdom. The Baron Lucas 1663 Lord Dingwall in the Peerage of Scotland. The Baron Guilford 1683 Earl of Guilford in the Peerage of Great Britain. The Baron Waldegrave 1683 Earl Waldegrave in the Peerage of Great Britain. The Baron Guernsey 1703 Earl of Aylesford in the Peerage of Great Britain. The Baron Gower 1703 Duke of Sutherland in the Peerage of the United Kingdom. The Baron Conway 1703 Marquess of Hertford in the Peerage of Great Britain. The Baron Hervey 1703 Marquess of Bristol in the Peerage of the United Kingdom. ^ G.E. Cokayne; with Vicary Gibbs, H.A. Doubleday, Geoffrey H. White, Duncan Warrand and Lord Howard de Walden, editors, The Complete Peerage of England, Scotland, Ireland, Great Britain and the United Kingdom, Extant, Extinct or Dormant, new ed., 13 volumes in 14 (1910-1959; reprint in 6 volumes, Gloucester, U.K.: Alan Sutton Publishing, 2000), volume I, page 233. Cited at The Peerage.com, Page 10225 (retrieved 19 August 2018). Earl of Lichfield is a title that has been created three times, twice in the Peerage of England and once in the Peerage of the United Kingdom (1831). The third creation is extant and is held by a member of the Anson family. Marquess of Headfort is a title in the Peerage of Ireland. It was created in 1800 for Thomas Taylour, 2nd Earl of Bective. 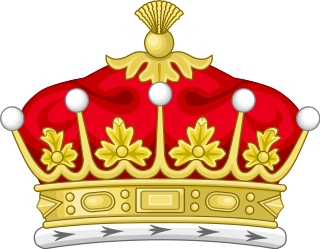 Marquess of Ailesbury, in the County of Buckingham, is a title in the Peerage of the United Kingdom. It was created on 17 July 1821 for Charles Brudenell-Bruce, 2nd Earl of Ailesbury. Earl of Halifax is a title that has been created four times in British history. The name of the peerage refers to Halifax, West Yorkshire.